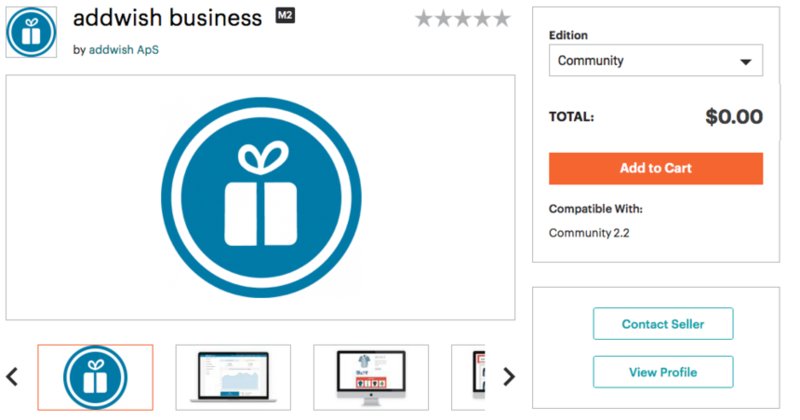 Installation guide for the helloretail business Magento 2 extension. Our Magento 2 extension is developed for magento 2.2 and higher but should be compatible with 2.0 and 2.1 as long as php 7 is used in your environment. Our category feed is dependent on api features released in Magento 2.2 and so will not work in 2.0 or 2.1. Our Magento extension can easily be installed via the web setup wizard and Magento marketplace. Go to marketplace.magento.com and login to you account. Locate the search bar and type in "addwish" - click the one for M2. Click the "add to cart" button and proceed to checkout - once the purchase is complete you can leave the site. 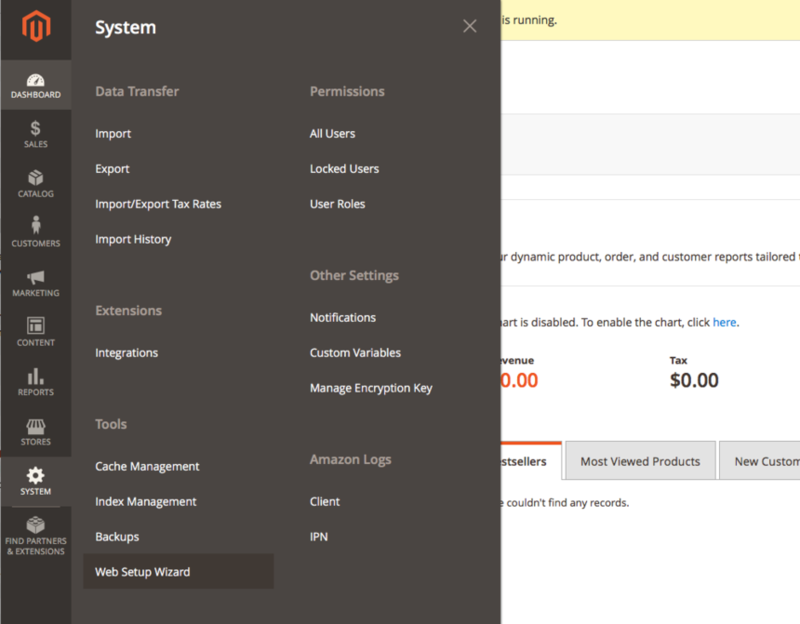 Go to your magento 2 backend and find system -> web setup wizard and click it. 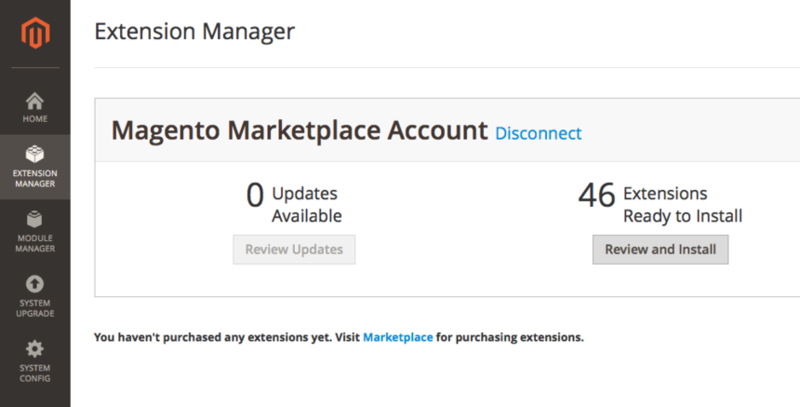 Enter the extension manager - Make sure that you are connected to the Magento Marketplace Account on which you have purchased the addwish extension. Click the "Review and install" button under the headline "extensions ready to install". 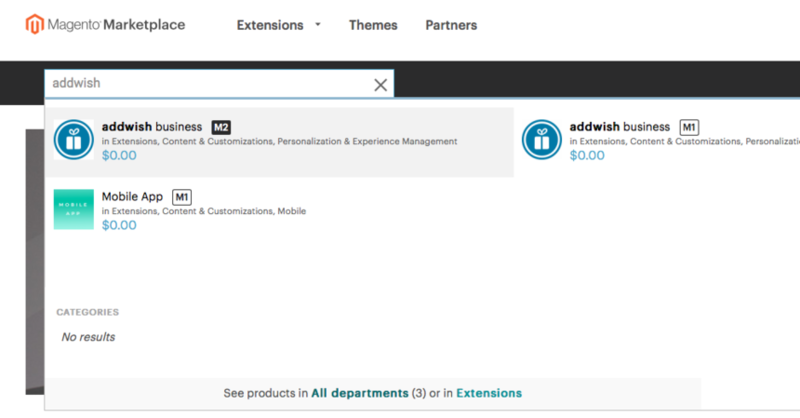 if you are connected to a magento marketplace account that has purchased the addwish extension, you should be able to locate the adddwish extension in the list - do so and click "Install". 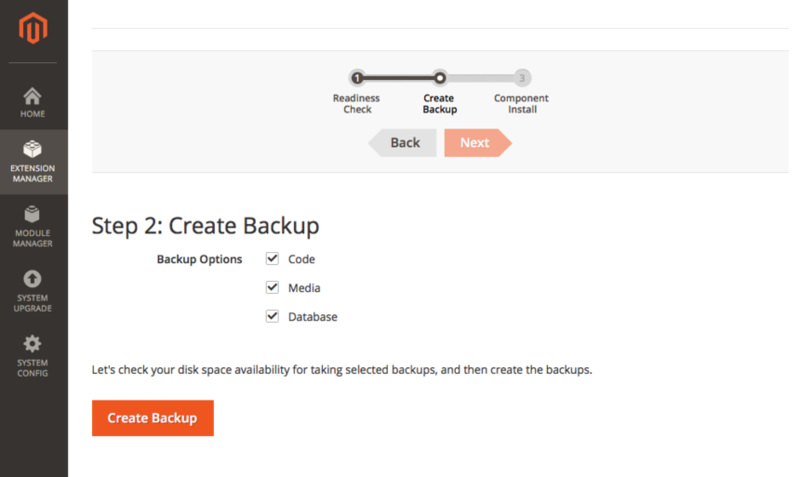 We encourage that you check with your developer on whether to do a backup or not. Click the "Install" button - As a default your shop will go in maintenance mode while installing the extension, so we recommend that you do this when there is little traffic on your site. If everything went smooth you should get a success notification. If errors occur please forward them to support@helloretail.com and possibly also have your developer look at it. Final step is to locate addwish > Module Configuration in your left menu - click it. 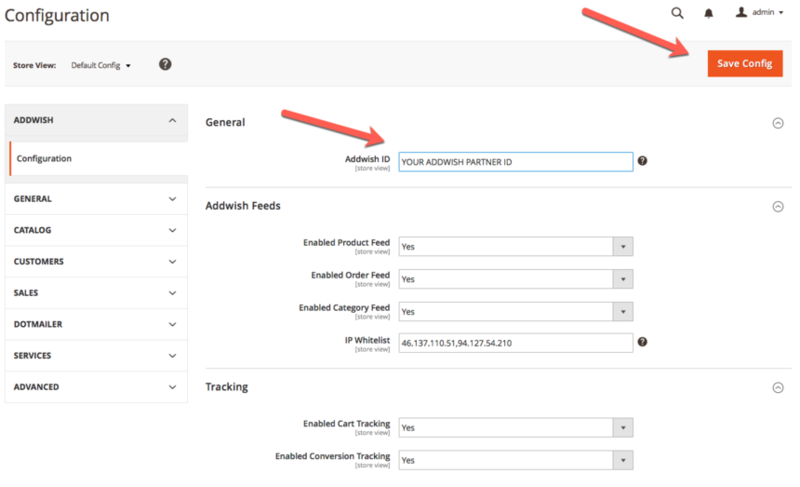 Now you must insert your addwish partner ID (you find this in the setup flow or by logging in to your addwish business account and navigate to Settings > Tracking script). On this page, you can also control the settings of the extension. If you are comfortable with ftp and have shell access, then you can download and install our extension manually. Once the extension has been installed, navigate to addwish > Module Configuration. Here you must insert your addwish partner ID (you find this in the setup flow or by logging in to your addwish business account and navigate to Settings > Tracking script). 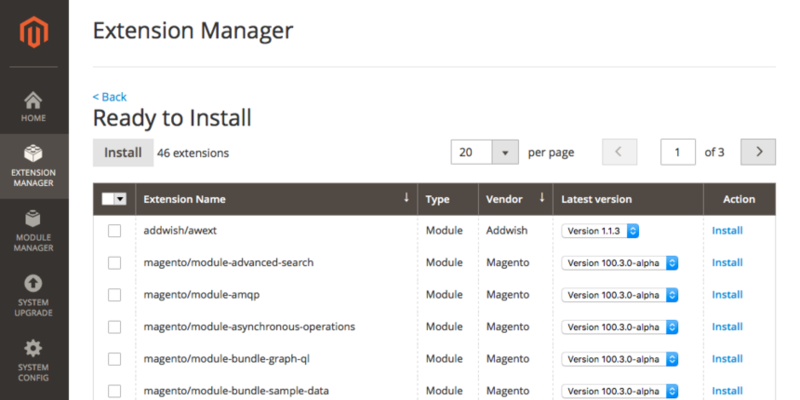 Next you need to follow steps 1-3 in the above guide "Installation via magento marketplace"